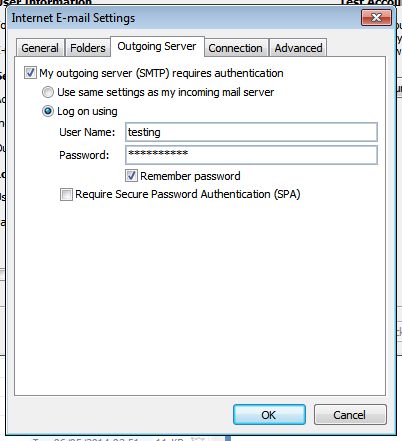 Before adjusting these settings, please see the TechDesk Article SSL Email Compatibility, as certain Anti-Virus & Anti-Spam products are acknowledged as being incompatible with these settings by their manufacturers. 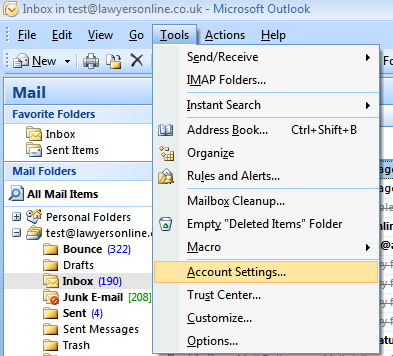 In the 'Change E-mail Account' window, make sure that your Incoming mail server is set to securecollect.lawyersonline.co.uk. 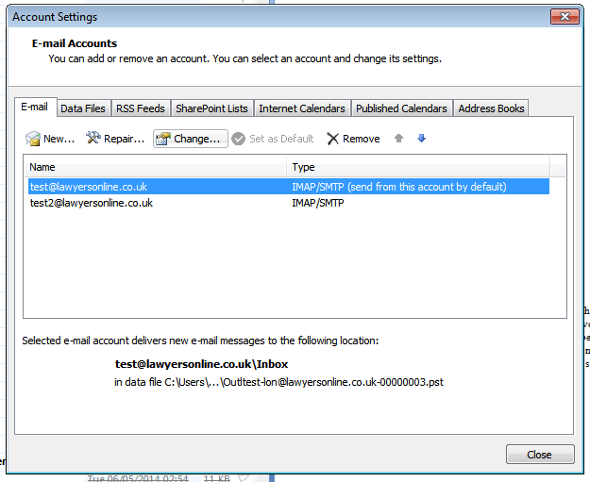 In the 'Change E-mail Account' window, make sure that your Outgoing mail server is set to securesend.lawyersonline.co.uk. 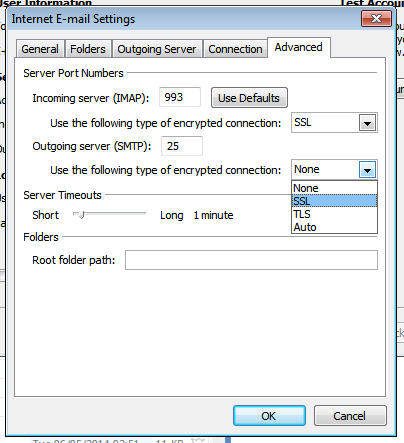 Select the 'SSL' option for both 'Use the following type of encrypted connection' dropdowns. 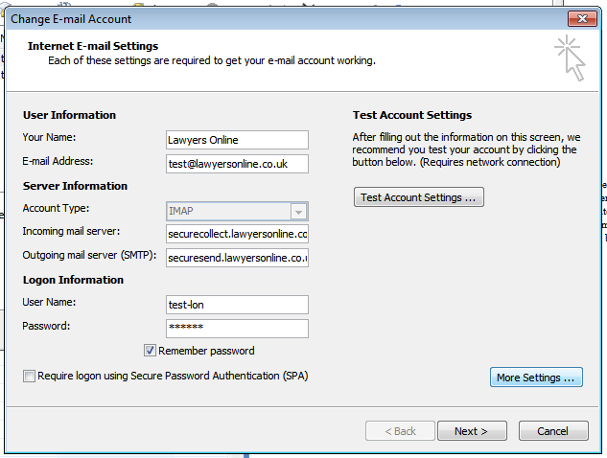 After you have followed these steps your computer is enabled to use the Lawyers Online secure email facility.